I was in Afghanistan in April and part of May to check on all WAW’s Afghan Women’s Fund projects and to initiate new ones. Here is my report. The extension to the clinic is finished and will be inaugurated in July by our director Manizha Naderi and our great supporter from California, MaryLu Christie. As I explained in a previous report, we built this extension in order to separate the maternity area from the area where TB patients are treated. The clinic operates 24 hours/day and serves over 30,000 people. We formed a women’s Shura (council) in this area-which has the support of the elders from the traditional men’s Shura, who met with us to discuss the plan. Over100 women now participate and are going to literacy and vocational classes. Very soon these women will be earning money for themselves and their families. We opened 8 literacy classes in the village and surrounding areas, and computer classes for over 60 girls. We provided the school with 5 computers, generators and other supplies. We also repaired an existing well in the girls’ high school so that the girls can have clean water for themselves and their gardens. The most thrilling news is that about 46 girls who previously attended our literacy classes are now continuing their education in Mir Bacha Kot High School. the women formed Shuras and started sewing, knitting, and other profit-making work. To help them , we gave them a loan of $1000, which they paid back. In five months, after deducting salaries and the cost of materials, they have accumulated $9643. We are hoping that the leader of this enterprise will train and then employ women in need of work who come to WAW’s Family Guidance Center. With the help of another NGO, Trust in Education, I was able to connect with the people of Lalanadar. I helped open sewing and literacy classes and worked on opening another women’s Shura. We formed a women’s Shura in Wardak as well as 2 literacy and 2 sewing classes. We provide the women with sewing and noodle-making machines and school supplies. We opened computer classes for the Mandawer School, which is supported by Garrison Forest school of Baltimore. We provided them with four computers, a generator, and other supplies. We also contributed medical supplies to a clinic that is supported by the Rotary Club of Laghman. Medical supplies for Gardez Hospital were provided through a grant from the Sunshine Lady Foundation. Money to purchase medical supplies for the Logar Hospital for very needy women and children was also donated by Sunshine Lady Foundation. 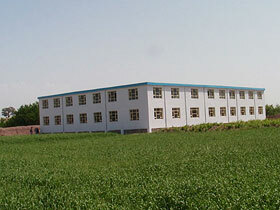 We have started building a middle school in Logar for over 580 girls. We are also supporting over 35 orphans in Logar province. The highlight of my stay in Afghanistan was my two trips to Herat Province and the time I spent at the two schools we built in Injeel (with money from your donations, the Sunshine Lady Foundation, and my dear friend Bill Brill). I went just after arriving in Afghanistan in order to receive the furniture we had ordered for the school earlier in the year and school supplies we had purchased with the Sunshine Lady Foundation grant and with funds raised by Akash Mehta, the 9 year-old boy in Brooklyn, New York, who has started his own foundation, Kids for a Better Future. 2000 girls now attend the schools in two shifts. When we arrived, we were mobbed by the students, who threw rose petals at us as we left our cars and walked to the middle school to present the furniture and supplies. While there, we formed 2 women’s Shuras along with English and computer classes for the girls and literacy classes and vocational training classes for women. These will meet in the middle and elementary school buildings after school and on Saturdays. I visited our women’s Shura in Zendajan, Herat. This group has their own building, which WAW built for them about 3 years ago with the funds donated to us in response to Kim Sevcik’s article on self-immolation in Marie Claire. The Shura has been able to save over $4500 from the products they make and sell in local markets: jams, silk items, and now breads, cakes, and noodles. A new sewing project will bring in more profit. I was amazed and delighted to discover that these women, who were not even organized a couple of years ago, had their own booth at the first agriculture fair in Kabul. Now they’ve started their first computer classes. Clearly, having their own building has given them self-confidence and the authority they needed not only to organize but also to set up small businesses and figure out what they need to advance even further. We’re going to use them as a model to help other Shuras. We went to Karukh district to view a small boys’ school that sits on land donated by a local Rotary Club member, who also hopes to start a clinic in the area. This gentleman took us directly into the village, where we were invited into the house of a peasant family. While drinking tea and talking with the father, his 2 wives, sister-in-law, and several children—and enjoying the cows, hens and roosters wandering around outside—we learned that there was no school for girls in the village beyond the third grade. I was able find a local teacher and start a school for 35-40 girls right then and there. The father was delighted. School is now in session for girls in this village. I also opened two literacy classes for the women in Qala-i-Safid, and we contributed school supplies to the only elementary school in the district. I met with the villagers and discussed the possibility of building a building to house the girls’ school somewhere in the area. When this project gets beyond the talking stage, I’ll send out more specific details. So stay tuned. I plan to return to Afghanistan in August. As always, I want to thank you for your ongoing support and trust in me. You are part of this dedicated team who wants to change the lives of women and children of Afghanistan and I am grateful to you. Please keep donating to WAW, we can't do this work without your support. You can donate by visiting our website at www.womenforafghanwomen.org.